Hi. My name is Jansen and I’m a book-clubbing two-timer. I’m also a book club emotional junkie. There…I said it. That’s the first step, right? I love to read. I would be a reader even if I weren’t in two different book clubs. But the reason I’m a two-timer really has nothing to do with the fact that I like books. I go to book club twice each month because the food is delicious, the wine compliments the company, and the company…it feeds my soul. The deep level of satisfaction and contentment I derive from spending multiple hours each month among brilliant, hilarious, beautiful, virtuous and yes, vice possessing, LOVING friends is indescribable. 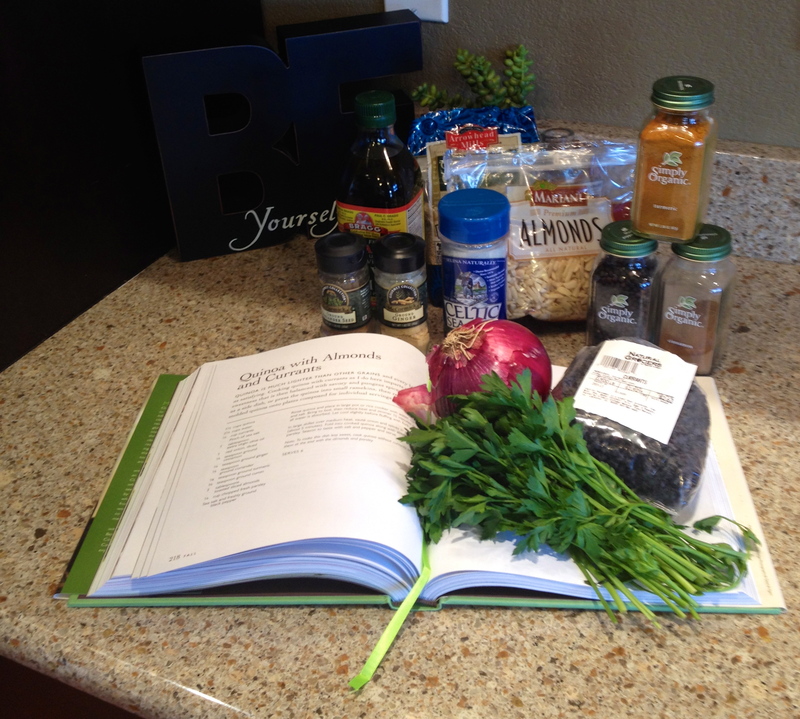 One of the reasons I choose to study holistic nutrition as opposed to conventional nutrition (I have started and withdrawn from two conventional masters degree programs in the past) is because I personally believe it is a more complete approach to health. We are more than just a sum of our parts. If we are going to address health, we have to look at the WHOLE person. Humans are complicated. We need to take care of ourselves as a whole; look at ourselves as an inter-connected puzzle and not a compartmentalized set of disconnected pieces. The World Health Organization defines health as “a state of complete physical, mental, and social well-being and not merely the absence of disease or infirmity” (World Health Organization, 2001). 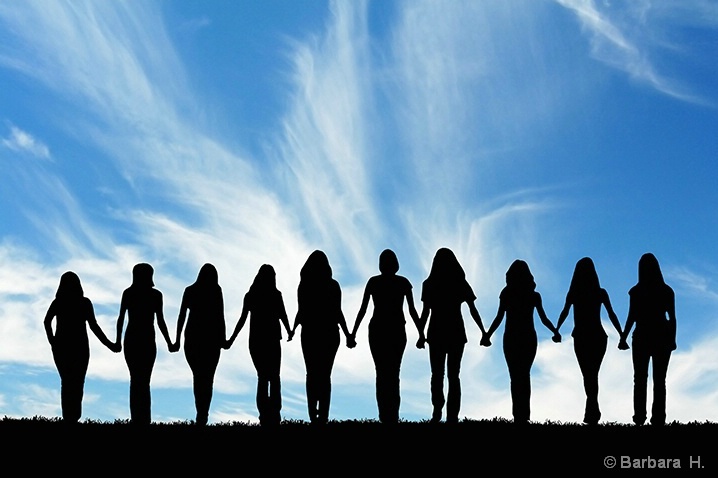 In an article by Randy Kamen Gredinger, Gredinger references (and includes links to) multiple research studies reinforcing the fact that women require quality supportive friendships to maintain healthy hormone levels (as a result of our stress response system). Additionally, these studies show evidence that such friendships decrease incidence and severity of physical impairments as women age. The conclusion is clear…if you want to be healthy, you must develop and contribute to quality friendships. You can thank me later for scientifically justifying girl’s night out. Last night I nurtured my health…I emotionally filled up with love, support, intellectual commentary, lowbrow mommy humor, and deliciously decadent food and wine. We read the book, The Fountainhead by Ayn Rand. It wasn’t the first of Rand’s books this group reviewed. The discussion about the book lasted approximately 15 minutes. Our consensus—we didn’t like it; a far cry from Atlas Shrugged. It was in the following two hours, after the “book talk” that the real health-care took place. We all take care of each other. We listen, we unload, we are heard, we laugh, and not this time, but sometimes, we cry. THIS is powerful medicine. If you are taking advise from this wanna-be holistic health educator…THIS is required exercise for all. SO…I’m a book club cheater two-timing double-dealer…and I’m encouraging you all to be the same. 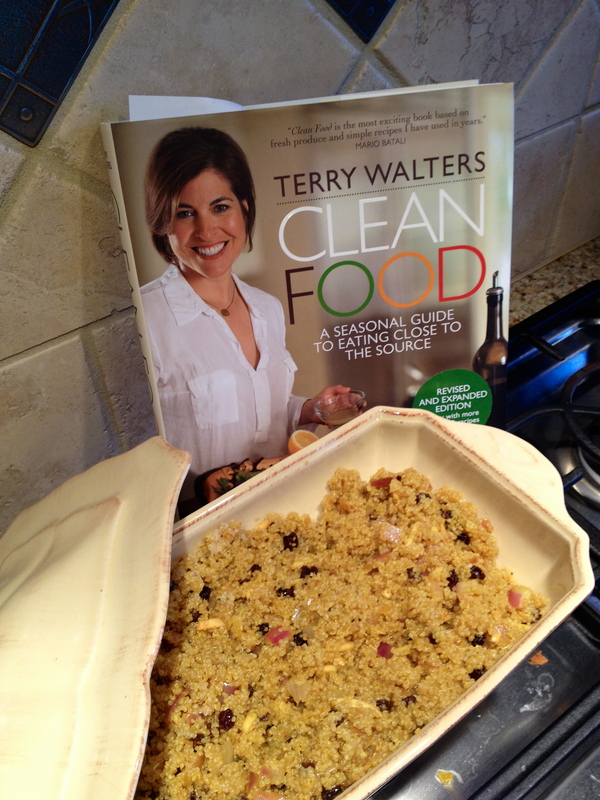 Rinse quinoa and place in a large pot or rice cooker with water, currants and salt. Bring to a boil, then reduce heat and simmer 15 minutes or until all water is absorbed. Let cool slightly before fluffing with fork. In a large skillet over medium heat (NOT HIGH), sauté onion and spices in oil until soft (about 5 minutes). Fold into cooked quinoa along with almonds and parsley. Season to taste with salt and pepper and serve. * I added about two tablespoons of raw honey to mine to sweeten it and contrast the dense spiciness of the dish.